HY30W-01 Series, Trailing Edge Dimmer Single Voltage LED Driver 700mA, with TUV,RCM,CB,CE compliant, single output,30W triac dimming driver, compatible with traditional trailing edge dimmers. 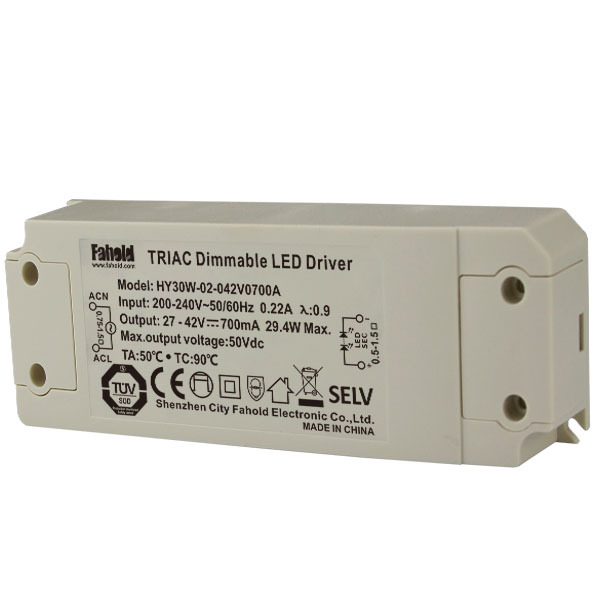 Triac dimming LED drivers can vary the light output between 0 to 100%. Care must be taken to ensure that the load requirement of the dimmer is met to ensure smooth Triac dimming over the 0 to 100% range.This driver is suitable for low wattage downlights. · Single channel output, output current level selectable by DIP S.W. 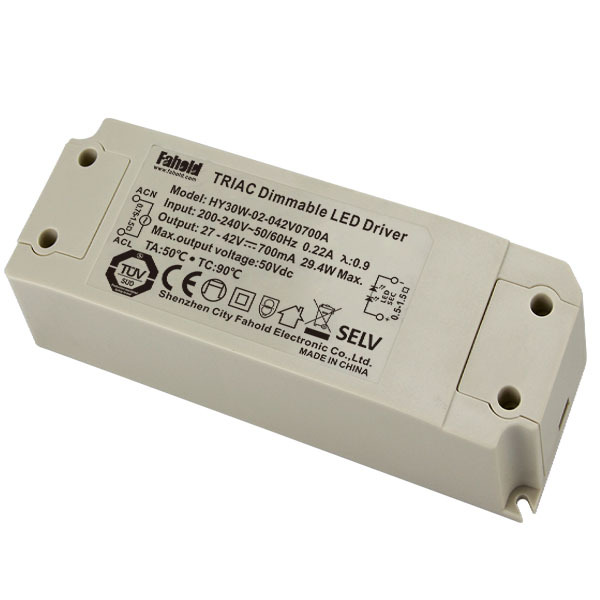 HY30W-01,Triac Led Driver, Desigen for high lumen led Downlights, Europe market application. Energy saving driver. 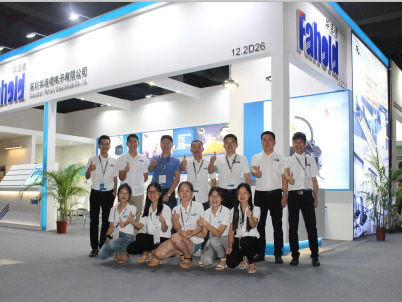 Its housing was made out of Hard shell, independent design for the output connection structure, suitable for Europe market. 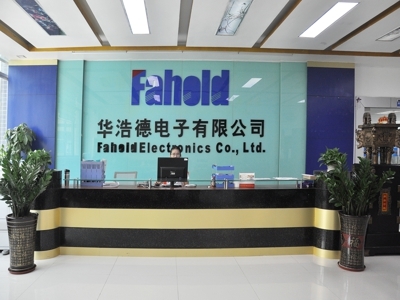 Shenzhen Fahold Electronics Co.,Ltd.was established in 2010, a factory which integrating the LED Drivers design, R&D and manufacture, passed the ISO9001 quality management system certification. It covering an area of 5000 squre meters, existing staff of 180 workers which including 25 Researchers, 20 quality controls. 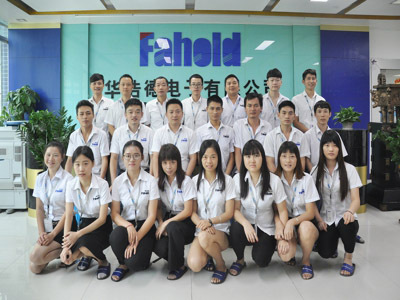 The production capacity of Fahold are 5 million units per year. 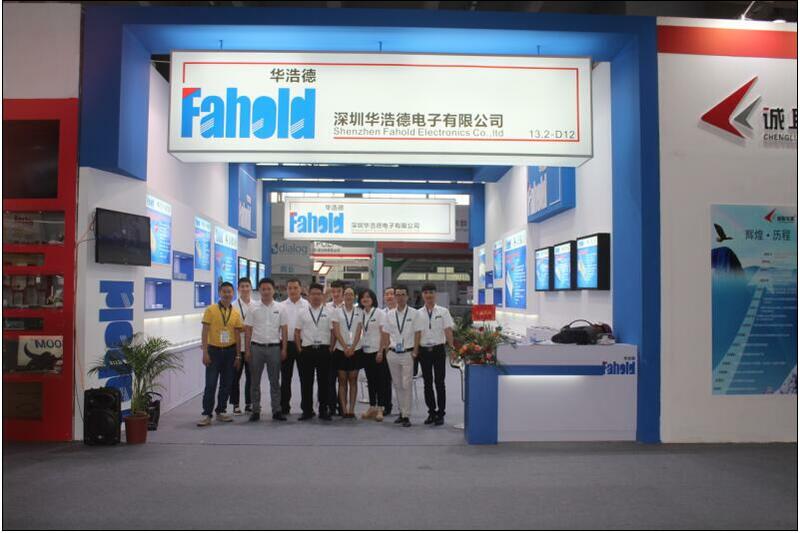 Products passed UL, TUV, SGS, SAA ,CB,CE,ROHS Ceritification. Products applicable to street light, industrial and mining light, linear light, tri-proof light, flood light , panel light and so on. Markets are in North America, Europe, Australia, South Korea and other countries. Quality first, Management excellence; Keep Continually improving, Strive for perfection. 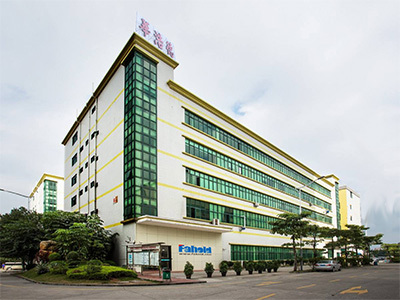 Factory Location: Building C, Starlight Industrial Park,Shilong Community,Shiyan Town,Bao'an District,Shenzhen,China.